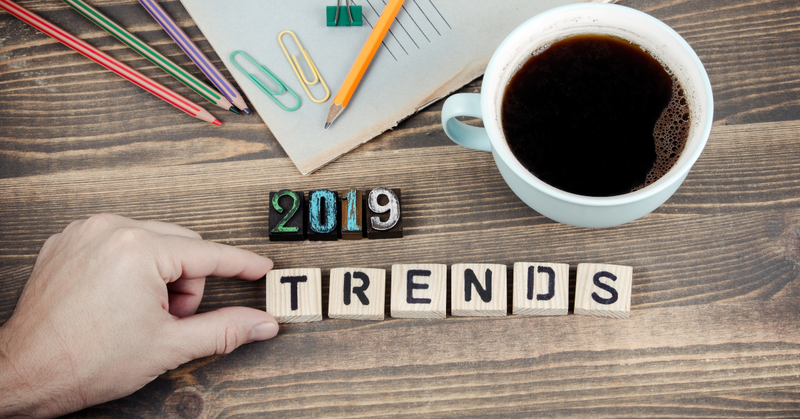 Home » Social Media Marketing in 2019 – What trends can you expect and what should you focus on? If one thing is for certain, it is that the general trend for Social Media Marketing this year will be to focus back on actually ‘being sociable’ as a brand. Efficient communication with your customers and building relationships and loyalty are key. Brands must go back to be more human and relatable. Audio and visual content and the latest AI will be your friend. We are talking Podcasts, what the best Visual Content should look like, Live videos and Chatbots. These are a good alternative to a video if you are not comfortable with your video skills or haven’t got the budget for the required equipment to make it worth your while. Podcasts are the new live radio and many users prefer it because they can choose exactly what they are interested in and listen anytime and anywhere on their portable devices. Podcasts also don’t force themselves onto customers as advertising, as they have to subscribe to what they really want to know about. They help to build familiarity with your brand and feel they get to know you through the voice of the presenter, especially if they subscribe to a series. Listeners recommend them to friends and help you grow your audience. All you require is a good quality microphone and headphones, editing software is available for free online and easy to use. Just ensure that you have a good WiFi connection for uploading them. You may want to send them by email to existing customers first, but then make them available on podcast distributions channels. A recent survey of 300,000 listeners showed that 63% made a purchase due to podcasts. Making them will help you become a better public speaker and engage your audience. Of these, 49% were produced through Online Tools or Graphic Design Software, and Venngate has seen a 60% increase in the use of their Online Tool from 2016. Around a third of the informants used In-House Designers, 11% a software like Adobe Suite or other tools or had professional help. 10% said that they employed Freelance Designers, who have seen a fall of 150% usage from 2016. So as you can see, you can create good Visual Content yourself. Over two-thirds of the marketers asked to consider them to be essential for any marketing strategy, and 81% of businesses will rely heavily on visuals. However, they also said that it can be a struggle to produce engaging visuals consistently, so spread your wings and use a wide spread of different content for best results. Okay, using AI doesn’t appear very human, but Chatbots can provide your instant customer support 24hrs a day, exactly when they want it and very efficiently. Chatbots are mostly used inside messaging apps, but you could also have one on your website. The first question will always be ‘How can I help?’ – even though you are talking to a computer, you still get friendly customer service, even if human interaction is an awful lot more complex. Chatbots are designed to provide shortcuts to give the user exactly what they’re looking for and nothing more. That also means they don’t feel like you are pushing them and trying to persuade them to buy something else. Instead of scrolling through endless options on a website and then filling in all their details, then ordering – the Chatbot will take a simple request and do the rest. Most people will use only 5 apps most regularly on their devices, and these are mostly messaging apps with 5 billion monthly users. As bots are integrated into these, there’s no need to go to another app or website, therefore very convenient. By thinking about every micro-decision a user has to make, you can create chatbots for things like adjusting a reservation or updating shipping info. It is best for businesses to focus on 1 function but do that well, as according to statistics 47% of users are happy to buy through a bot. China is setting the trend here and there you can use a Chatbot to hail a taxi, order food, book your next holiday, etc. 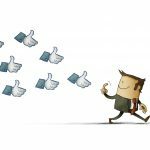 To summarize, Social Media Marketing in 2019 is all about making your customer feel like he knows you and your brand, create a connection and therefore loyalty. You do this by being more human and literally visible (or audible in Podcasts) plus conveniently and efficiently available 24/7 with ‘no-fuss’ when that’s what the customer wants.